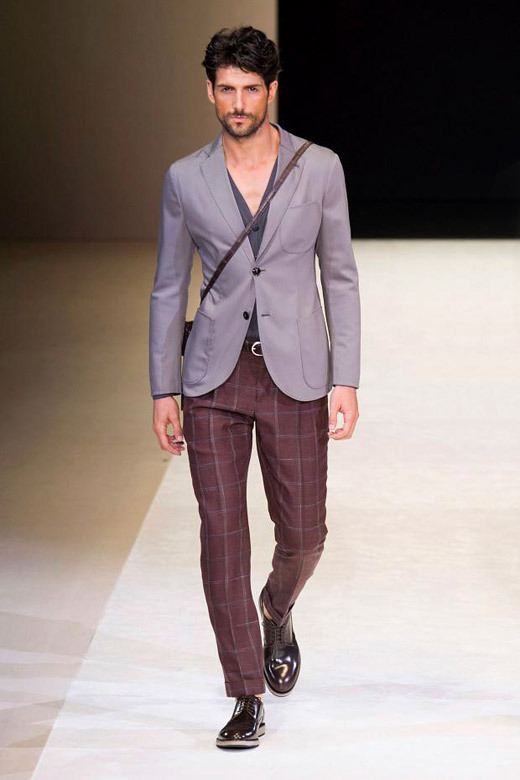 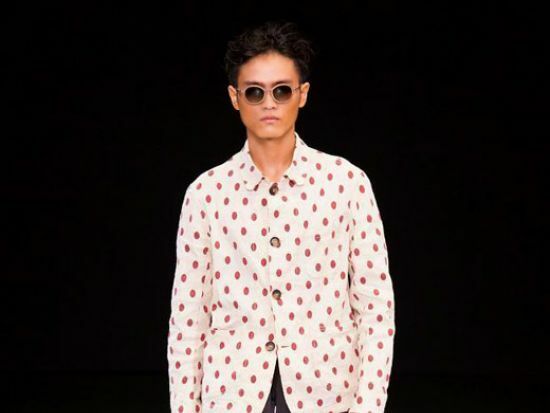 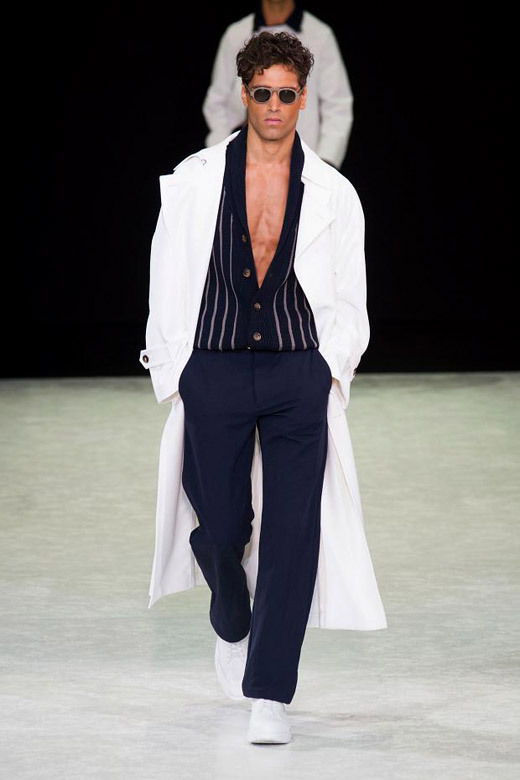 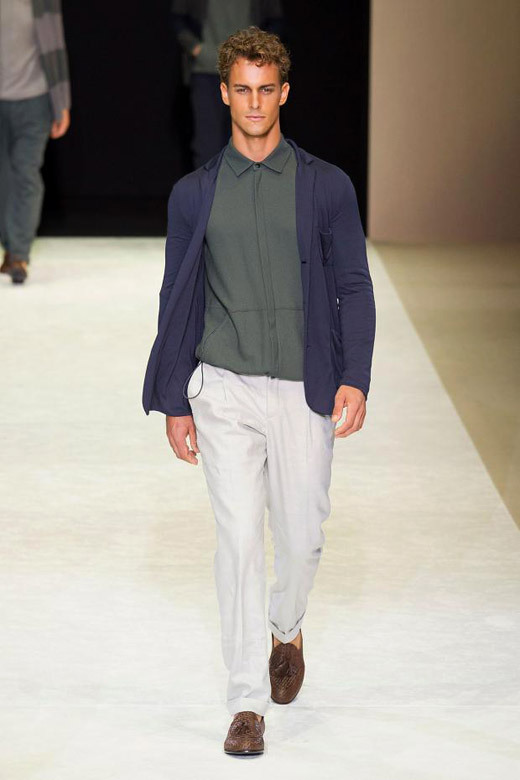 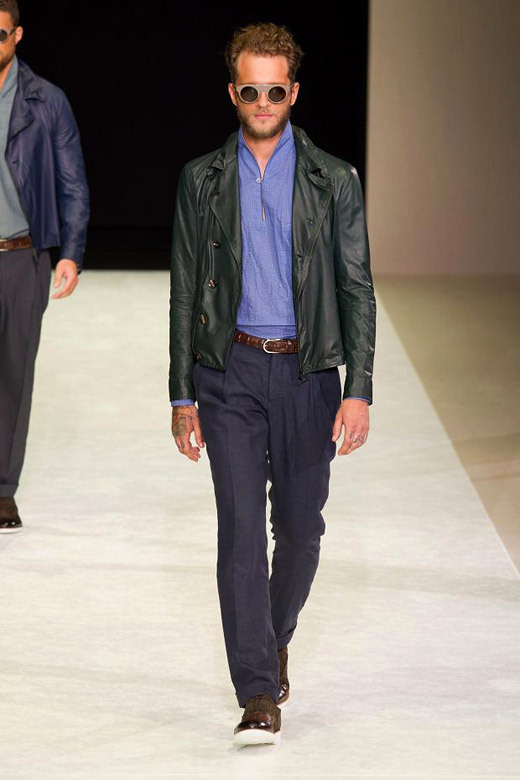 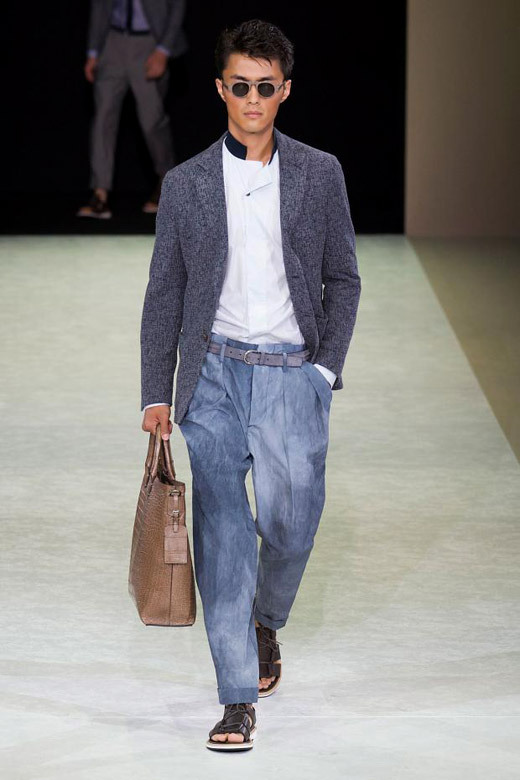 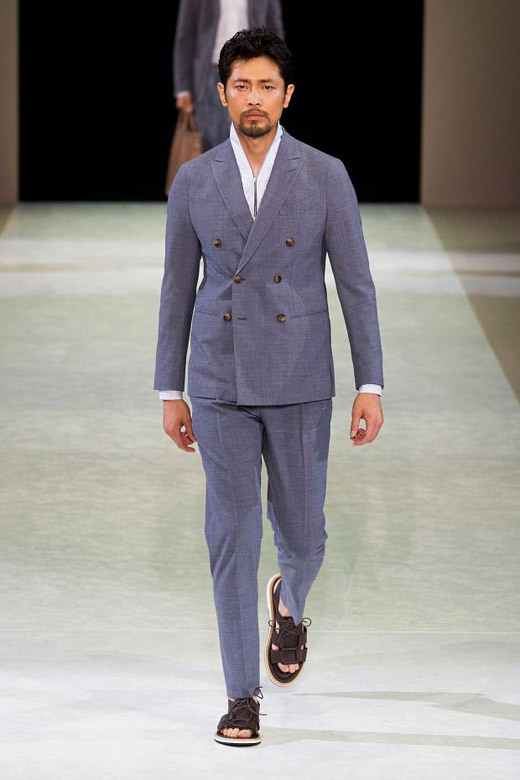 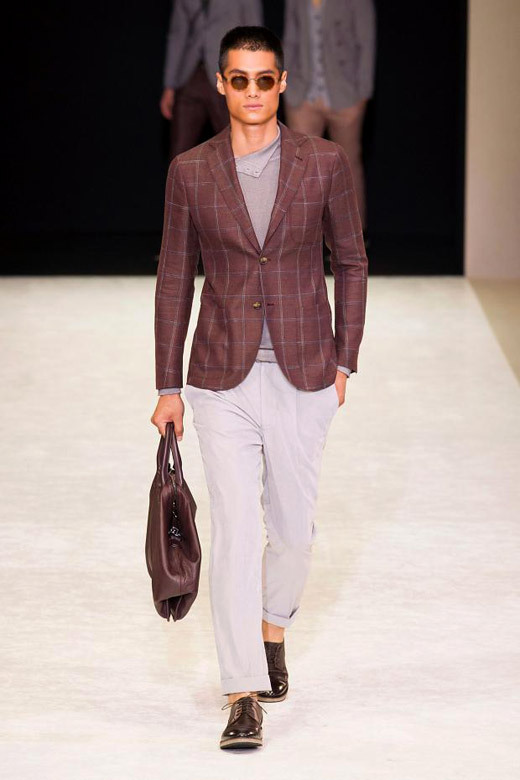 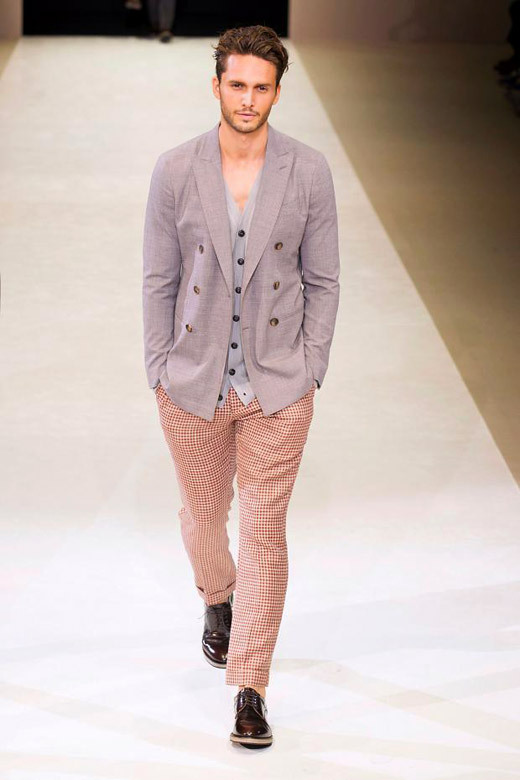 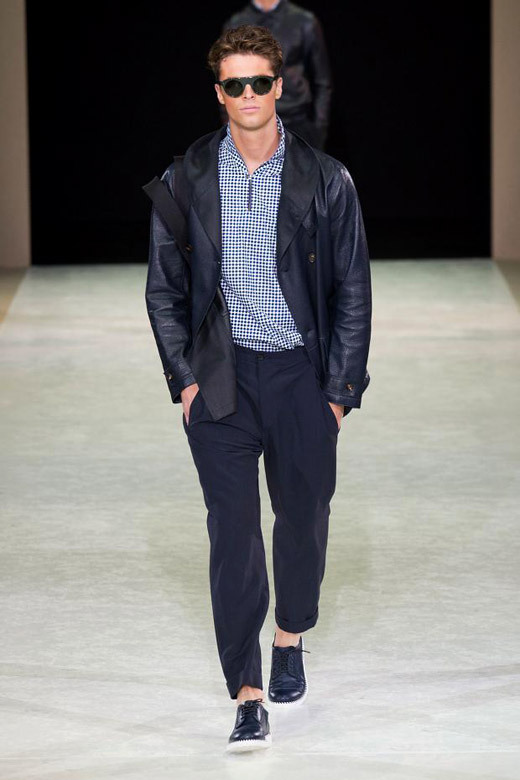 Giorgio Armani Spring-Summer 2015 collection includes: belted trenches, double-breasted blazers, striped t-shirts, long-sleeve knits, pleat front trousers, cardigans in place of shirts, v-neck jersey tops and jackets, variously-cut suits. 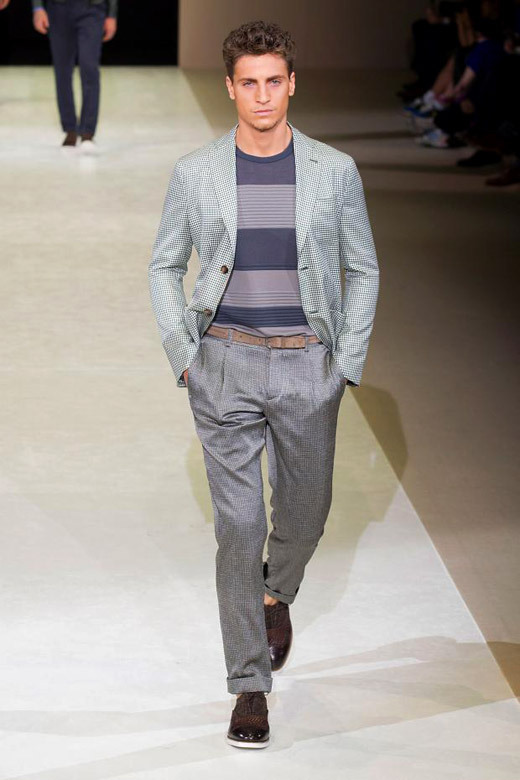 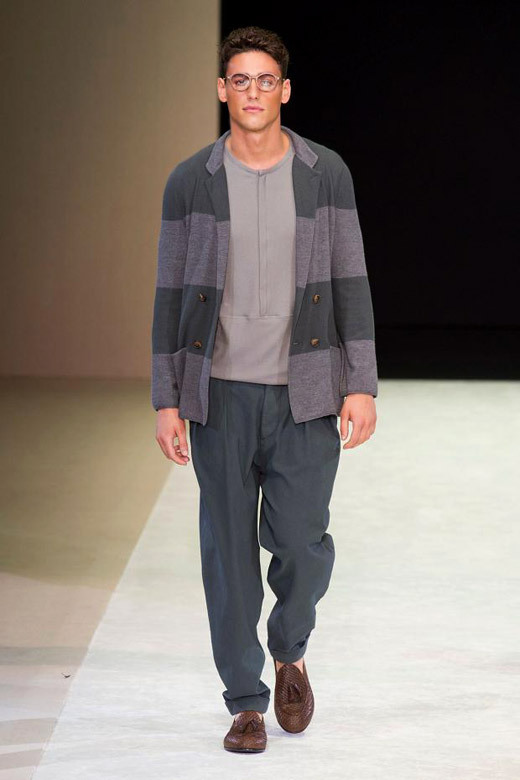 All of the garments were in Armani's beloved understated shades of blue, gray, black and white. 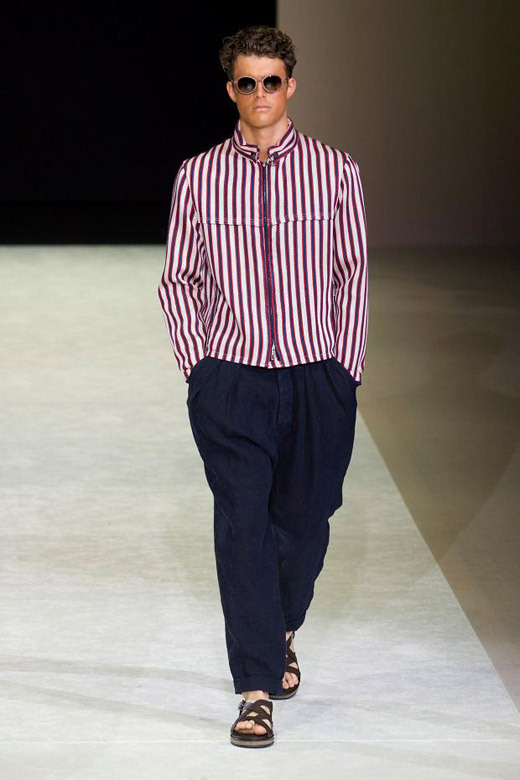 With just a pop or vibrant red in two back to back boxy striped jackets - with just a note of vibrant red in two striped jackets. 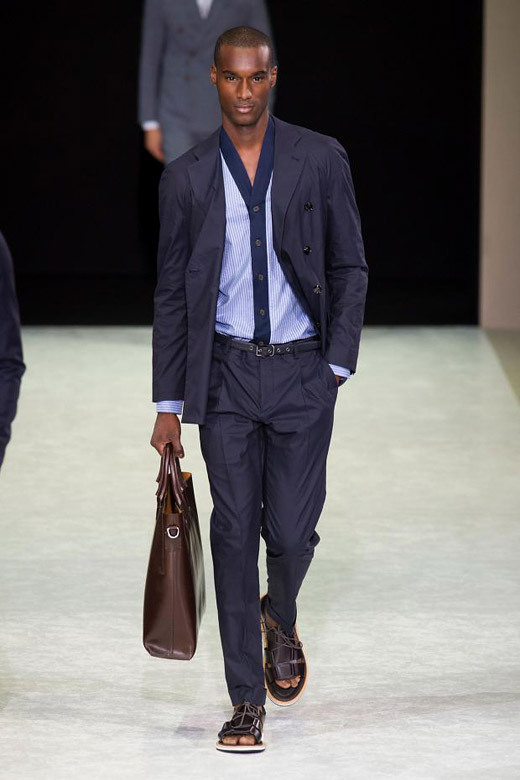 Big part of the collection were Blue suits - one of the hottest menswear trends for Spring-Summer 2015. 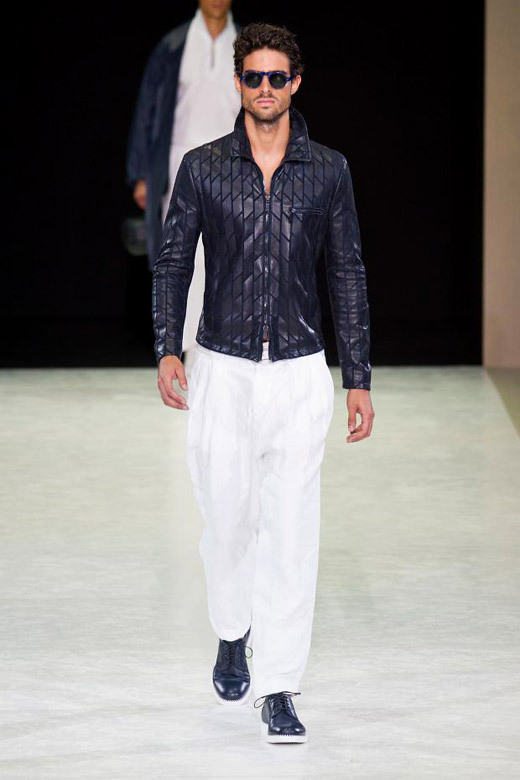 Used materials are cotton, silk, linen, technical fabric, new wool and leather. 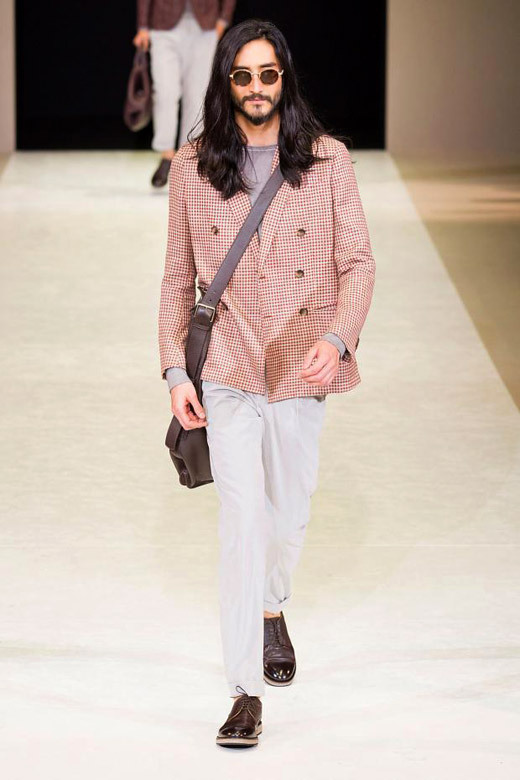 List of accessories includes: moccasins, large leather travel bags, small suitcases, round glasses with slender metal and bone frames, broad hats. 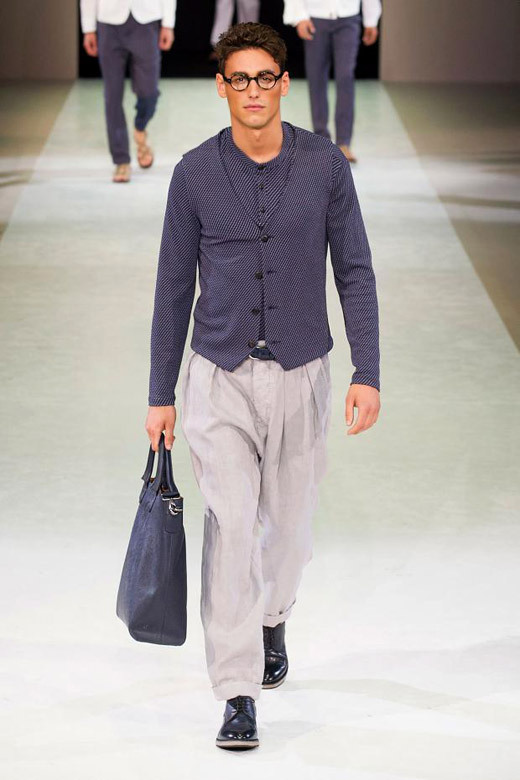 'It is a romantic collection. 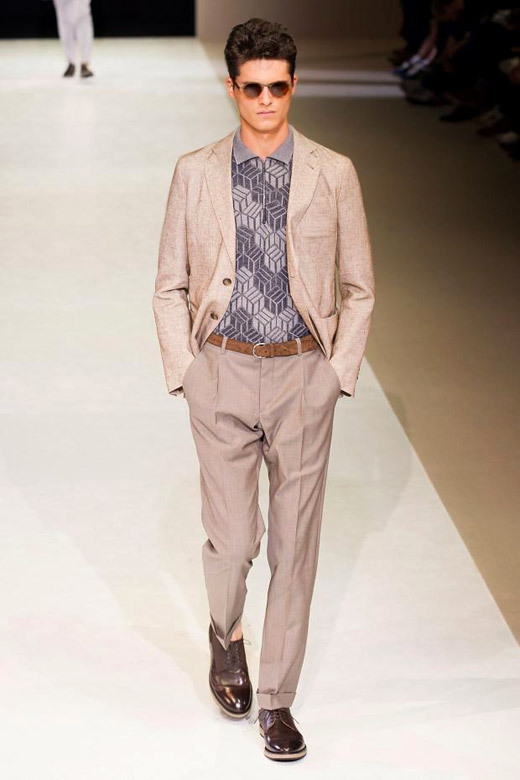 The hints of the past are ever-present, and there is a modern twist', said Giorgio Armani after the show.